The first mainstream manga that I had ever picked up was Naruto. Back then there were no foreign book distributors in India. I got the first four volumes and I really liked the vibe of the manga. The volumes were expensive (they still are), so I resorted to reading scanlations. Still, I saved up for buying anywhere between 3-5 volumes at a time. The shipping cost was usually wavered in that case. Viz did an incredible job of printing crisp blacks and gray-scale screen tones and the feel of a printed volume was far superior to reading badly translated chapters. Viz had also preserved the right to left orientation of the original. Now-a-days this is the norm, but back then most English manga publishers were mirroring the artwork to “suit” the western taste. It was only a matter of time that I drifted to the anime. The production was incredibly good. If you want to feel the adrenalin and emotions, look no beyond the Chunin arc. To top it off, the soundtrack of original Naruto series was amazing. Somewhere at about 120th episode, the canon fodder was over and we had these fillers that I absolutely hated. 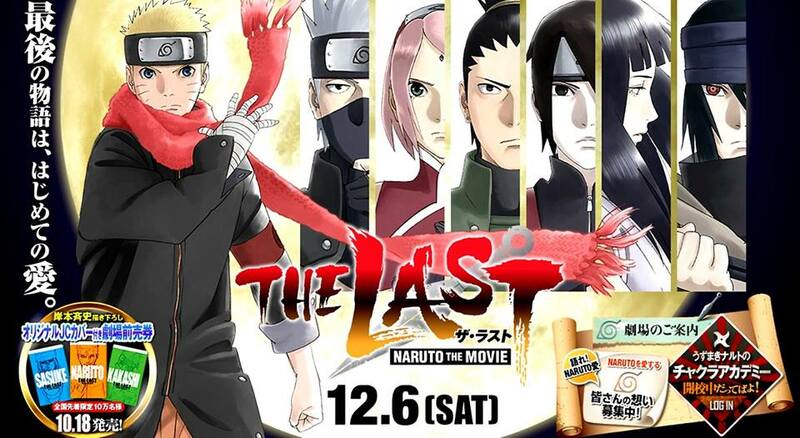 The aftertaste of the fillers were so bad that I have not watched any filler (barring Chikara mini-movie) from Naruto: Shippudden. There were shonen battles that a kid could enjoy, and then there were those moments of raw emotion and unobtrusive clarity that would resonate with a grown up viewer like me. 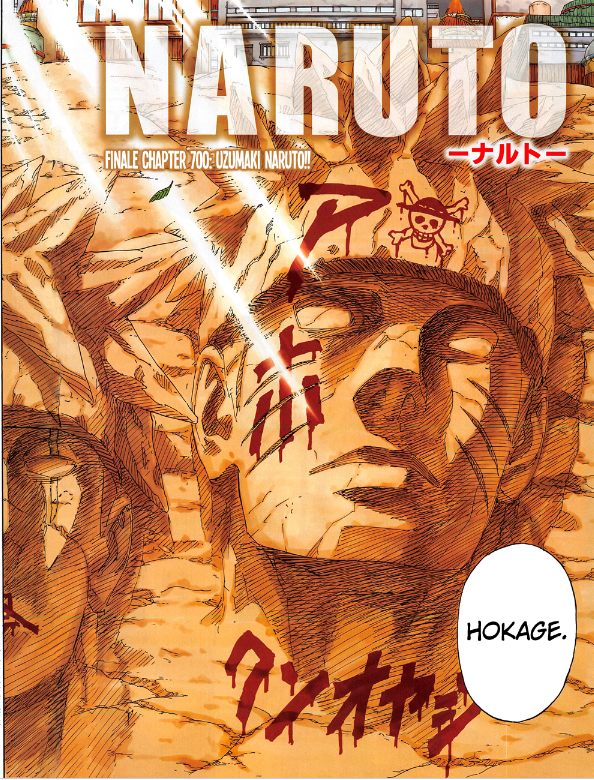 I am quite sure that Naruto printed manga in English is bought majorly by people who are way past their 20s. Shikamaru’s battles – Temari during Chunin Exams, Tayuya during Sasuke’s retrival and his revenge with Kakuzu and Hidan. Naruto vs Sasuke. The first fight at the waterfall is amazingly portrayed. The last fight was very well executed. There was something very cinematic about the way the fight ends. All Itachi moments, especially the ones involving Sasuske. In my opinion, he was the best character of the entire series. The Pain Arc in its entirety. It had some of the best character development and the best talk no jutsu. Also, Jiraya was killed, leading to a major twist in the plot. Naruto reunion with his father and mother. We all speculated that he was the son of The Fourth but the way Minato makes an entry, I literally clapped while reading that part. Later, during the Pain arc, when Naruto meets his mother, it was one of the most emotional moments in the entire saga. For the last 15 years, Kishimoto sensei has worked hard to give us the best evolution of a naughty kid since Dragonball. I have rooted for this pair for a long time. Simply because a loudmouth and a sophisticated+silent types make a better combo. During the Chunin Exams arc, Hinata stole the panels that she was in. She was one of my favourite supporting character. Kishimoto sensei gave it away on the cover of volume 64 [Watch this link: This rant was speculative back then]. 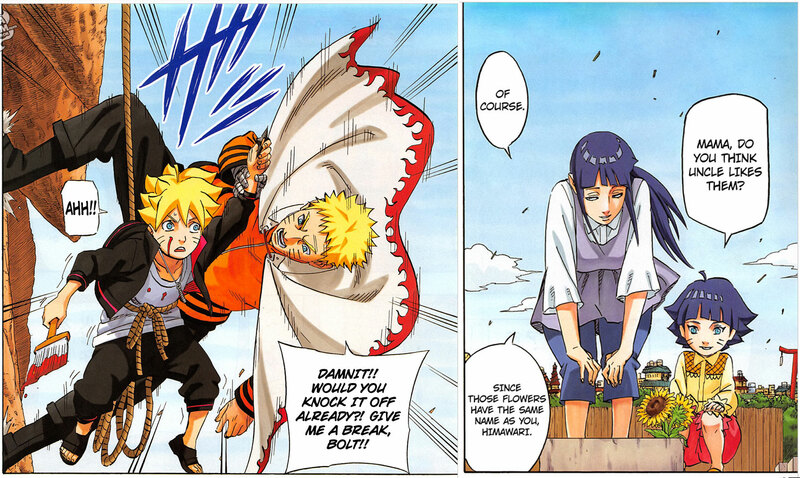 We know what Boruto and Himawari are like from the final chapter. This is a pairing that I have an “ick” about. I hope The Last movie puts some good effort in building this relationship. In the final pairings, I really liked Shikamaru and Temari’s one. Their kid looks exactly like Shikamaru and I am quite sure that he possesses great intellect (and he has inherited his father’s laziness). The rest, I did not care about much. I was saddened to see Temari’s dwindling business though. Asuma and Kurenai’s kid had the best character amongst the newer generation. She seems so sensible and grown up. Officially, The Last movie is a part of the canon. It fills up the gap between the penultimate and the final chapter. Kishimoto sensei has mentioned that it is a love story at its core. I can’t wait for it to be released. Sadly, I will have to watch it on some kaizoku channel as there are no distributors of anime in India. And unlike the printed manga, anime DVDs and BRs are not region free. That was before Mangastream. They are one of the best scanlating groups. Their notes are meticulous. Even for the last two chapters, I waited for their scanlations although Mangapanda had already upped their scanlations. Even today, some of the reprints like Akira and Lone Wolf and Cub have flipped English versions. One Piece doesn’t count. Luffy is already 17 when he begins the adventure. He is technically a grown up with a kid’s brain. On another note, Oda sensei and Kishimoto sensei are rivals and friends. The opening page of Chapter 766 of One Piece (the one released with Naruto finale) is a Naruto tribute (Heck, there is Naruto eating Luffy’s meat and Luffy eating Naruto’s ramen). NaruSasu would have fitted the bill as well but we all knew that Kishimoto sensei wouldn’t go that way. 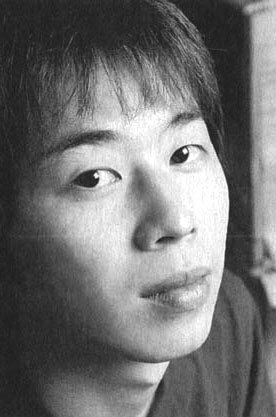 Thank you Masashi Kishimoto sensei for the last 15 years. This is a shout-out from one of your eternal fans. I still have 32 more volumes to buy.